The Netherlands coastline is, to a great extent, defined by unnatural sharp lines: dikes. 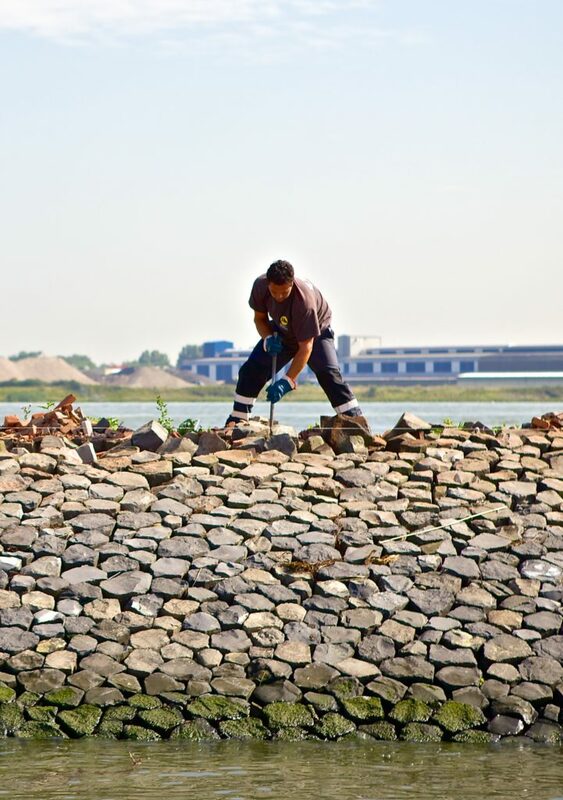 Even when you zoom into a more human scale, the dikes are decorated by geometric patterns: hexagons. 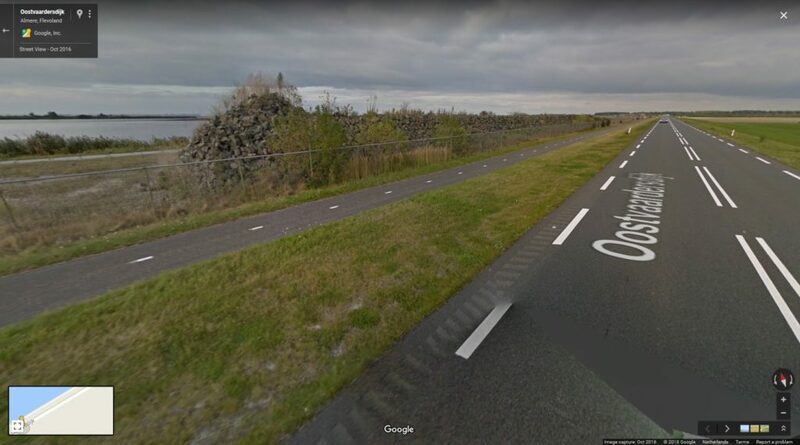 Just like the dikes are not a natural component in the environment, the hexagons are an invasive specie: basalt blocks imported from more rocky countries, as Germany, England and Norway. They are carefully placed by hand to protect these structure from waves and tides. This armoured lining is usually the final stage of a dredging project: protecting what just has been constructed. My personal experience with these blocks, is that we used to play with them, when we were just little boys. We sailed to the newly constructed Pampushaven, where there was a stockpile of these basalt blocks leftover from the reclamation of the Flevopolder. We puzzled them together like a real dike, or built forts of them. Even after forty years, the stock pile is still there! What I remember was, that they are extremely heavy. And their perfect prismatic geometry intrigued me intensely. I thought they were made that way. By now they feel less heavy and I have learned that they are some kind of volcanic rock called ‘basalt’. But it puzzled me how molten basalt can solidify into these perfect jigsaw pieces. 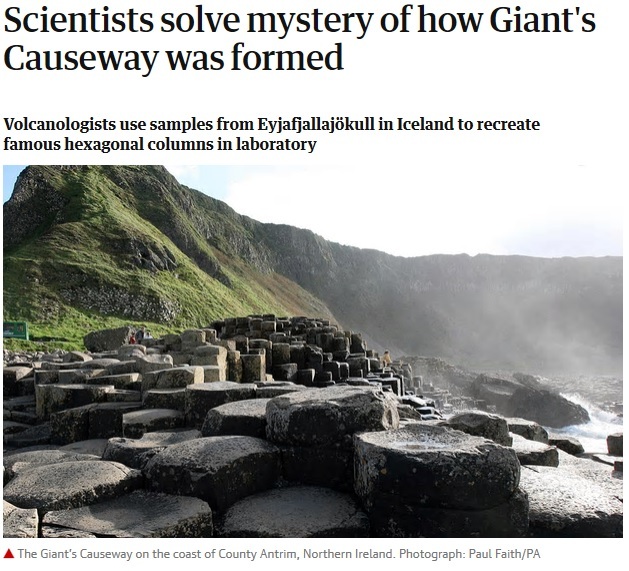 Until last week, I’ve read an article in the Guardian1 about a geological feature called ‘Giants Causeway’. As it happens, I also visited this Giant’s Causeway. And it really feels like standing on a dike at home. But this ‘dike’ was laid down by mother nature. Molten lava flowed over chalk beds. As it was clamped between other layers during cooling, the internal stresses caused the cracks to be distributed evenly in a nice geometric pattern. So, Finn MacCool2 wasn’t involved after all! 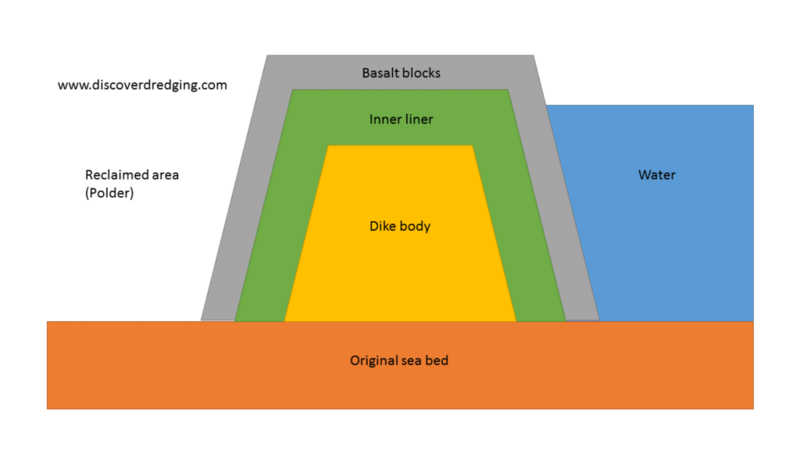 The internal structure of dikes, dams, jetties and groynes is a bit different and purposefully designed for the intended application. Usually there is a body of sand, that is designed to take the load of the tide and waves. Next an internal lining with appropriate permeability. Either watertight for keeping the water out, or open structure for draining the wave run-up. Height, width and slopes depending on the requirements. Evaluating all these requirement choices in a well-balanced design is an art by itself. Don’t cut corners, it’s all about safety of the people living behind the dike. It is best left to specialised companies that are familiar with the design and construction of these civil works. In the Netherlands, the trade was often handed over from father to son and whole families became intertwined in these specialist dredging companies. 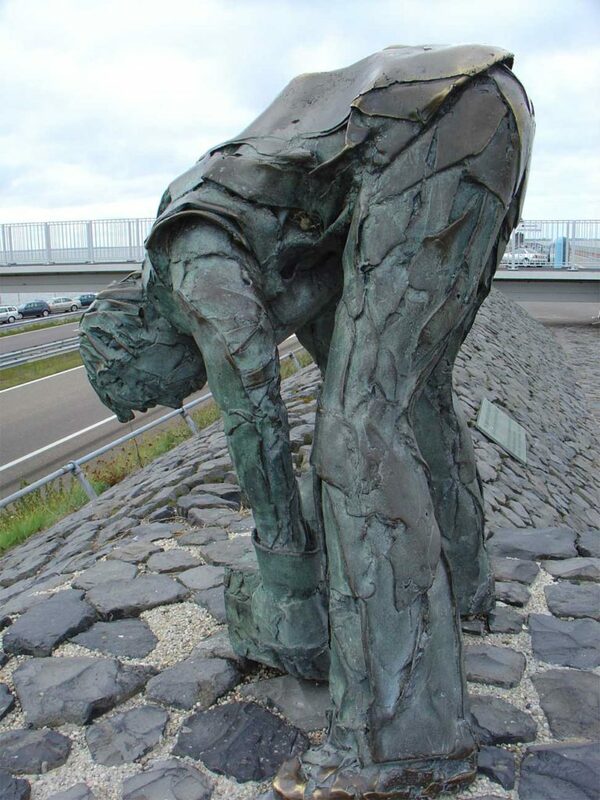 So, now we know the origin of the stones for the dikes and how they are used. But the real resource used to protect our dikes and the land behind it are: all those unnamed men that have literally put their back into placing those stones. We owe them our land! Next Next post: Do You Have Wear Parts For Spare?